A Korean deal based on flattering Donald Trump as a useful idiot will not hold. In the last six months, US President Donald Trump has “fallen in love” with North Korean leader Kim Jong-un. 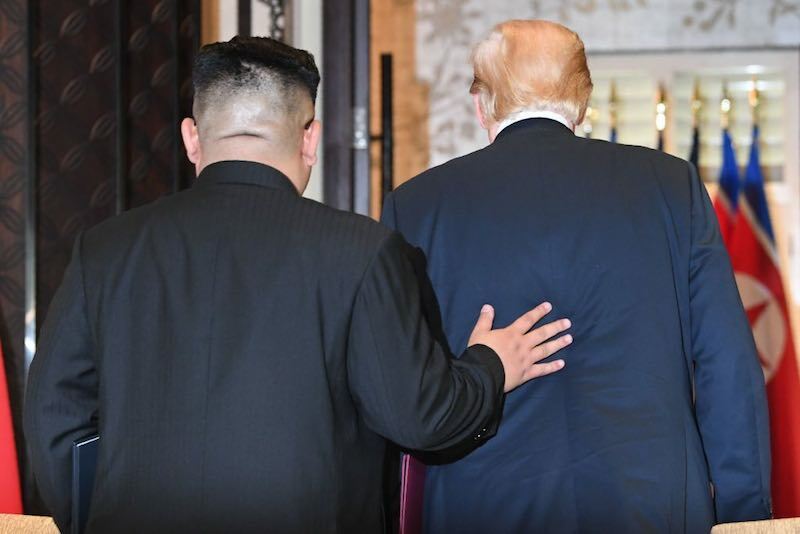 He has also been persuaded that Kim respects him, likely because he called him “your excellency” in his “beautiful letters”. South Korean President Moon Jae-in has claimed Trump is the “only one who can fix the Korean peninsula”. He and his Foreign Minister, Kang Kyung-wha, also suggested that Trump win a Nobel Prize for bringing peace to Korea. None of this is true. Of course it is not. Everyone knows this, including Trump’s own staff, as the many leaks and books about this White House attest. Donald Trump is extraordinarily fickle. Kim Jong-un and Moon Jae-in better be ready to debase themselves for awhile. It is painfully obvious to any serious observer that Trump has no idea what he is doing on North Korea (or most policy issues). Had any other US political figure said he was “in love” with the dictator of North Korea, he would have been laughed out of politics or seen as a creepy apologist for the world’s worst tyrant. That Trump was given a pass on this remark – as he is on so many of his unhinged comments – tells you all you need to know: no one takes him seriously, he does not understand the issues, and he does not care to try. Not only is Trump frequently irresponsible and idiotic, he does not care that he is, has no interest in improving this problem, nor cares that we all know that he is unhinged. It is almost as if Trump is performing the presidency as a joke or reality TV show rather than actually doing the job: who says they “love” North Korea? Trump had to know that was preposterously foolish, yet he said it anyway, because he simply does not care. None of this is particularly new of course. It was obvious three years ago that Trump knew almost nothing about policy. Regarding North Korea, Trump has swung from unhinged war threats to mawkishly self-congratulatory peace-making in just a few months, because he has not even tried to grasp the issues. 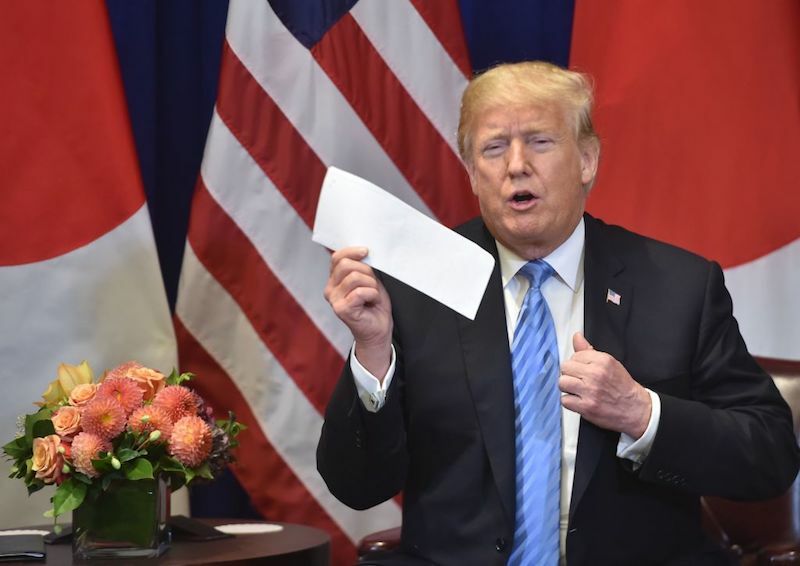 He just wants the attention that comes from outlandish statements – “fire and fury” – and actions – the Singapore summit. His speeches and commentary on North Korea almost never reference actual issues in the negotiations – missile counts, fissile materials stockpiles, and so on. Instead, he belabours his supposedly great personal relationship with Kim. Tellingly, Trump has never given a programmatic speech on US goals in negotiating with North Korea, or what sort of mixed deal – troop withdrawals for nuclear weapons, missile defense for missiles, sanctions relief for human rights, and so on – the US might consider. The closest Trump came was his insistence early this year on complete, verifiable, irreversible disarmament (CVID), but that was always a gimmick. No expert ever thought the North would simply unilaterally disarm because of US browbeating. Beyond all-or-nothing, silver bullet approaches such as CVID or war, Trump has laid out no framework, no groundwork for a half-loaf, mixed-bag compromise, which is almost certainly what the actual negotiating outcome will be if there is one. Trump’s gross ignorance, disdain for US allies, and love of flattery have, in turn, created a bizarre window of opportunity for the leaders of the two Koreas. Unlike Trump, who cannot be bothered to read, Moon and Kim have almost certainly studied up on Trump’s character. Indeed, given Trump’s endless self-congratulation in his speeches and his obvious love of media attention, it is not hard to see that he is a deeply insecure arriviste, desperate for affirmation. World leaders increasingly play on this vulnerability. In 2017, Moon and Kim did not quite see how easy Trump would be to manipulate. Where Japanese Prime Minister Shinzo Abe picked up rather quickly on Trump’s gullibility – giving him a “make alliance great again” baseball hat and a golden golf club – Moon and Kim both treated Trump as a normal US president. 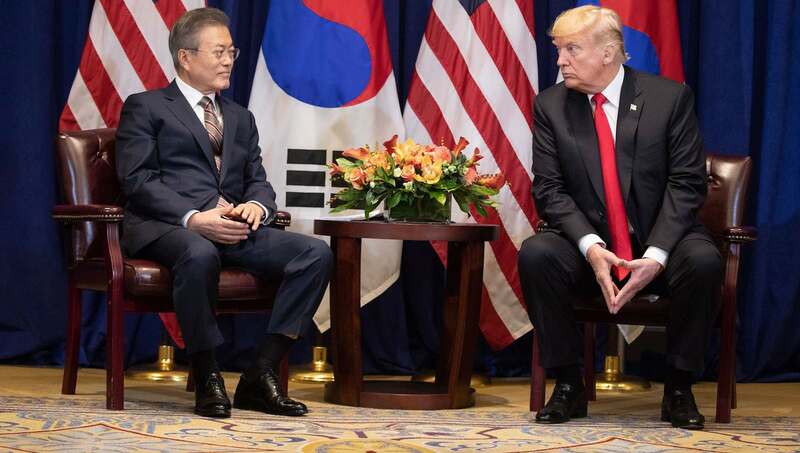 Kim and Trump fell into a war of words, while Moon seemed unable to figure out how to respond to a president determined to crassly read the US alliance as a protection racket. By 2018, the two Korean leaders came around. Moon started jetting off to Washington more often to pay court to Trump, because Trump loves to insist the foreign leaders solicit him, not vice versa. Moon’s envoys pitched the Singapore summit with Kim directly to the president, rather than going through US national security bureaucracy, which almost certainly would have tried to stop it. Then Moon and his foreign minister started floating the preposterous idea that Trump should win a Nobel prize. Here in South Korea, it was an open secret that the Nobel was, and still is, a gimmick to flatter Trump. That Trump could not see this suggests just how immature he is. Kim Jong-un got in the act with fawning letters in recent months. One can only imagine how Trump swooned when he read being called “your excellency”. Call all this the “Compliment Trump” Doctrine. The dangers here are obvious. Trump is extraordinarily fickle. Kim and Moon better be ready to debase themselves for awhile. Will their nationalist populations tolerate that? How long can this last? Trump abjures contracts when it suits him. As a businessman, Trump was notorious for not paying his bills and violating agreements. If an inter-Korean deal becomes a liability for Trump in the future, he will dump it immediately. Everything hinges on Trump. Moon has not won over the US national security bureaucracy regarding North Korea, instead placing all his bets on Trump. But Trump is gone in six years at most, possibly two. And indeed, after this year’s midterm elections in just six weeks, Trump’s attention to Korea will likely fade entirely. The Democrats will do well in the Congress, likely taking one or both houses, after which will come a wave of investigations and possibly an impeachment effort, depending how just how bad the rot is. 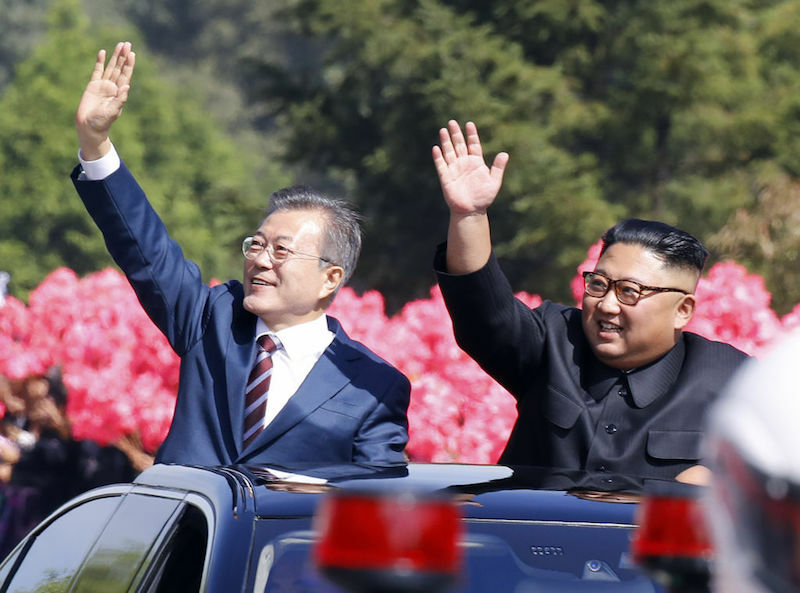 The Koreas will drop off Trump’s radar, and the South Koreans will be stuck dealing with the State and Defense Departments again, which are far more sanguine about negotiating with North Korea. The US national security community can see Kim and, more importantly, Moon manipulating the president. This is my biggest fear. Trump is a preposterous, accidental president; playing him as a useful idiot may capture gains for Moon in the next year or so, but there will be scars left behind. The US community focused on North Korea issues and the South Korean left already have poor relations. The former distrusts the latter’s willingness to concede to North Korea, while the latter finds the former intrusive into Korean affairs, which are not its business. The left cannot dump these US hawks though, because the US alliance is hugely popular in South Korea. And the US national security community will remember how Moon played on Trump’s vanity to go around it. This will make it that much harder for the US alliance under liberal South Korean governments in the future. Moon’s spinning of Trump will leave a bad taste with many of South Korea’s allies who can see what he is doing and know it is manipulation of a fool. He should stop. It is in our interests for these two Compacts to be as complementary as possible and for our region’s experience to help shape both. Universities need to accept their vulnerability to internationalisation in order to prepare students for the future. These week's links also include asylum seeker news from Nauru, shoring up the borders in Bangladesh, and climate change refugees from PNG’s Carteret Islands.